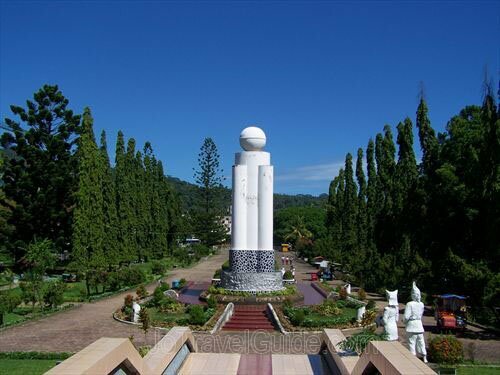 The Adityawarman Museum or the Museum Negeri Provinsi Sumatera Barat (the National Museum of West Sumatera) is situated in the center of Padang. 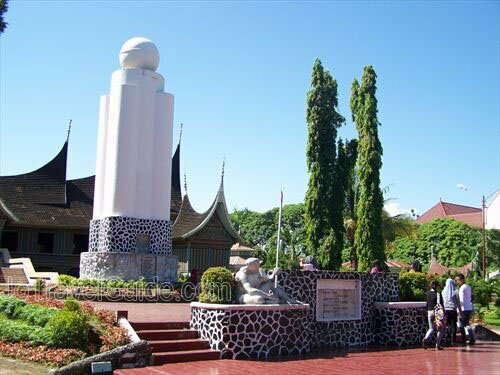 This museum was built in 1976 and inaugurated on 16 March 1977 by then the Cultural and Education Minister, Prof. Dr. Syarief Thayeb. 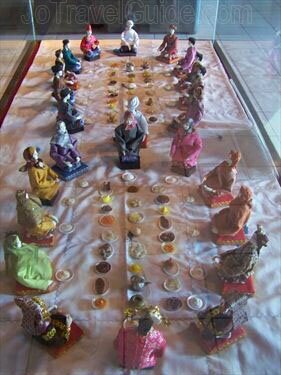 Adityawarman Museum occupies an area of 2.5 hectares, and it is surrounded by a spacious and neatly laid out garden. 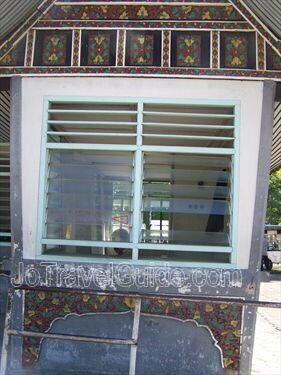 Click the picture on the right for more and bigger photos of Adityawarman Museum. 1. 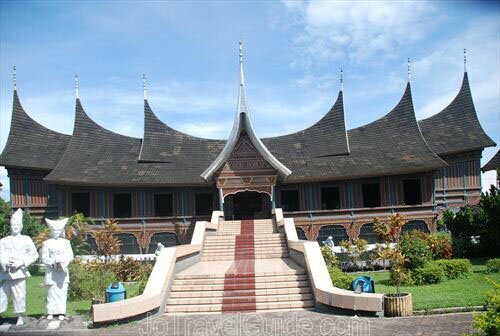 The Matrilineal Culture of West Sumatera Room displays miniatures of traditional houses, the chart of West Sumatera’s matrilineal system, traditional costumes, and so on. 2. 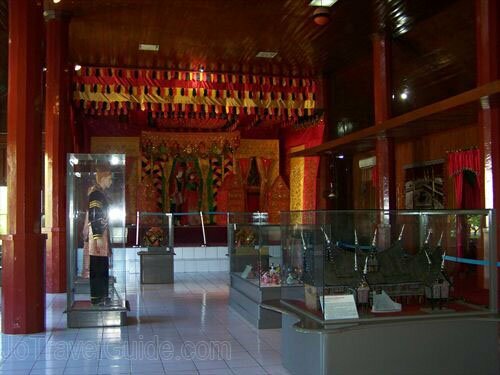 The Minang Daily Life Rroom displays daily life activity tools such as weaving tools, traditional cooking tools, carving tools, fishing tools, etc. 3. The Cultural and Geological History Room displays old inscription stones, carved wood, and so forth. 4. 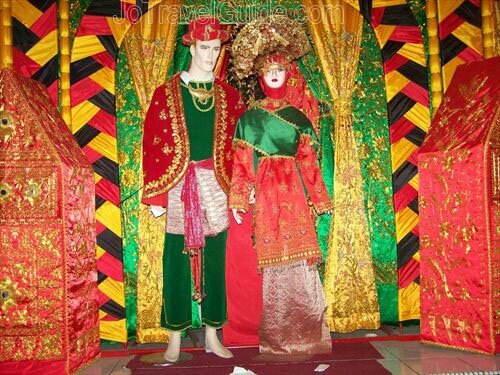 The Costumes and Ceremonial Equipment Room displays a big range of West Sumatera’s traditional costumes and equipments, which are used for ceremonial events such as wedding ceremonies. 5. The Mentawai Tribe Culture Room displays daily activity tools and photos of Mentawaian people. Remarks : on Monday, the museum is closed but the office is open, so visitors can only ask for information regarding this museum. 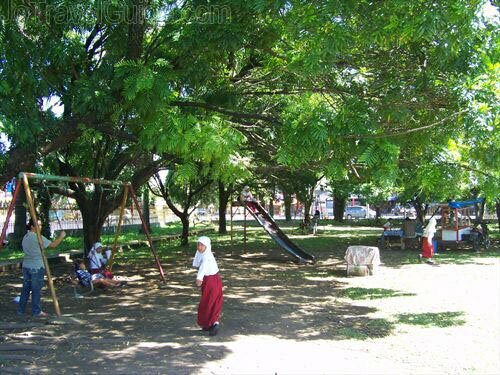 Taking photo is allowed. There are some programs held regularly at this museum, such as exhibitions, workshops, competitions, and so on. Normally these occasions take place in a separated building located at the back of the museum.